FINALLY. Why did this take so long? 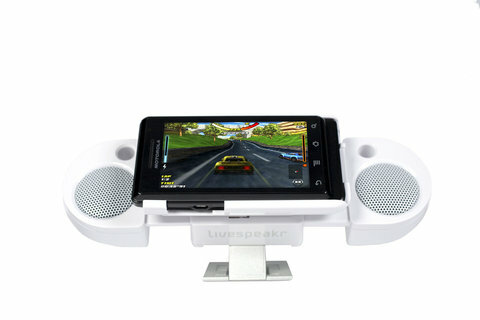 Livespeakr is claiming to be the first and only docking/speaker system to work with both the Motorola Droid and the Nexus One. 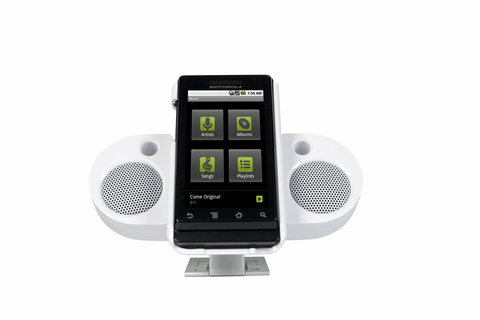 This snazzy little device comes in both white and black and apparently connects via headphone jack. It will set you back about $80, but from early reviews on the iPhone version, that seems to be a steal. Most reviews out there also appear to be pretty favorable.